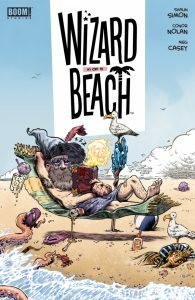 It has all the makings of a fine new series: it’s Wizard Beach, from BOOM comics. But is it “magic wand”, or “gotta WANDer”? The story is this: The Wizards’ hang out is being threatened. Their creature allies are turning away, going toward the ‘dark forces’. So, little Hexley tears off, looking for a wizard who will help. Uncle Salazar! Hexley arrives at Wizard Beach, sort of a vacation hangout for ‘retired’ wizards. Will they help little Hexley? If I could wave a wand and make this comic reorganize and re-edit itself, I would. The cover is a beautiful thing, and it’s what drew me (no pun) to the book in the first place. Unfortunately, the rest of the comic does not equal the luminescence of the cover. There is a puzzling four-page sequence at the beginning that is intended to set the scene for Hexley’s leaving home. Instead, it is incomprehensible. When the story DOES kick off, the pace picks up, and we are interested. But no, it’s time for the writer to jump in and interrupt the flow, showing us historical pictographs of Wizard history. Then, the story picks up again, only to stall with more wall plaques and historical wizard photos. 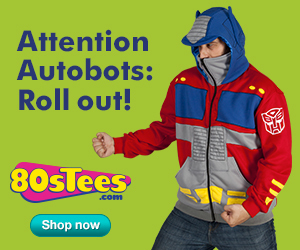 Great Scott. Sigh. It’s a pity about the time wasting, really. The artwork is really good, but hey, I’m starting to yawn. By the time things stop at the end of Chapter 3, we feel like we have been subject to a front row seat to watch Uncle Salazar’s root canal. Time for us to jump up and get out of there before the adults start telling us about their beach vacation where nothing ever happened! 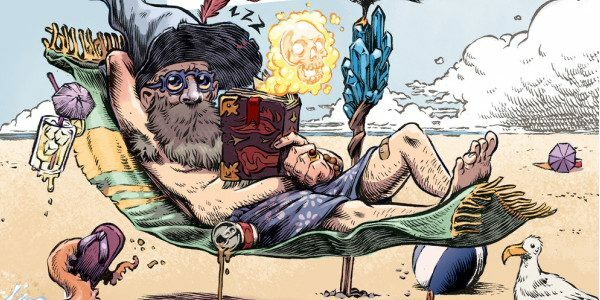 Wizard Beach is written by Shaun Simon, and illustrated by Conor Nolan. Colour is by Meg Casey.